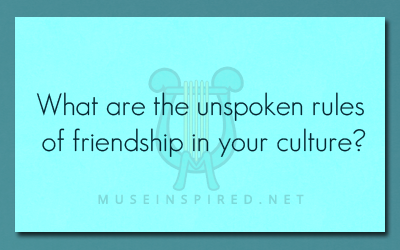 Cultivating Cultures – What are the unspoken rules of friendship in your culture? Cultivating Cultures - How does your culture view the elderly? Cultivating Cultures - How many religions exist in your world?